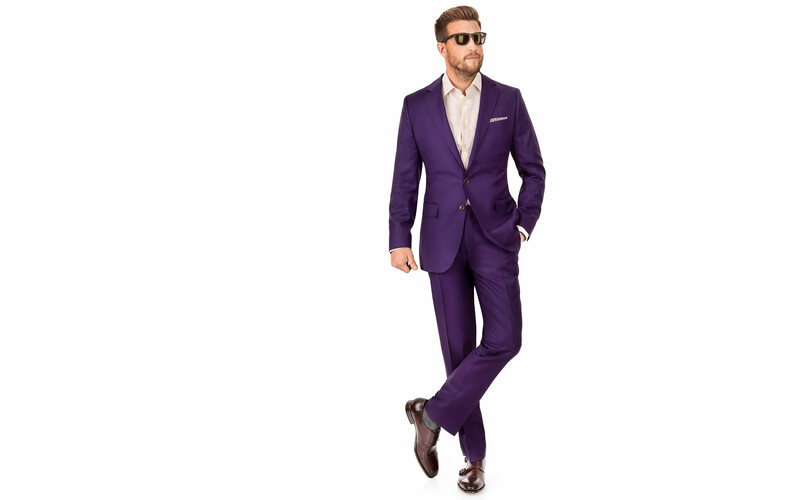 This plum suit needs to be the centerpiece of your outfit - style with solid color shirts and t-shirts and keep accessories to a minimum to avoid overloading the look. 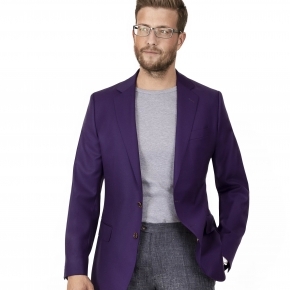 Plum is ideal for more casual styling - lose the tie, or just mix the jacket with your favorite dress pants or chinos. 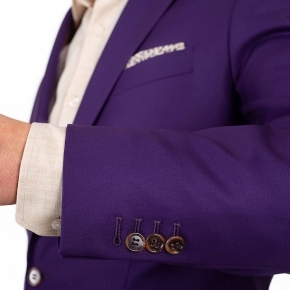 For most complexions, it is better to go with an off-white, ivory or a grey shirt. 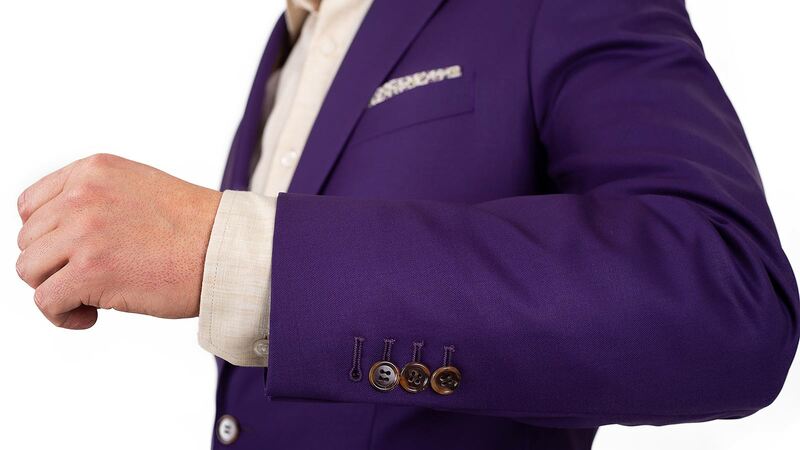 Blue dress shirts are a no-go, while white shirts are quite popular and work well with plum, but make the look more formal than we usually prefer for this suit.